We were very pleased to attend the inaugural event for our client Norwegian Cruise Line’s new ship – Norwegian Breakaway. The new ship is the third largest cruise ship in the world and is 1/3 mile long and can carry 4,500 passengers. And we understand that an even larger ship is now under construction. The event took place aboard the ship at dock in Southampton prior to its journey to its home port of New York. We’d like to thank Norwegian Cruise Line for inviting us to the event, and say that we had a fantastic time – David Hanley, our managing director was even lucky enough to meet Ellie Simmonds on board! We wish the Norwegian Breakaway and Norwegian Cruise Line every success. Yes Response are pleased to be working with one of our clients to support the organisation of their worldwide dealer conference. The conference will bring together over 2,000 delegates from around the world to stay in one of 3 hotels and attend a variety of events. Yes Response are producing the welcome and goodbye letters for all delegates. The welcome letters confirm all details for the individual’s stay and provides them with their bespoke agenda for the conference. The departure letters thank the delegates for attending and confirm their flight details and the arrangements for transportation back to the airport. This is a complex project that will be carried out over the course of 3 weeks. There are many permutations, including 8 language variations, and our data and mailings teams are working hard to ensure that each delegate’s letter will be at the right hotel at the right time and contains the bespoke details for their stay at the conference. Yes Response have put a team of 4 together to take part in the local JCB Mud Run that’s coming up at the end of June! And the rest of the Yes Response team will be coming along to support us. We’re ready to get extremely muddy to raise some money for charity and have a good laugh in the meantime – and hopefully we’ll have some good pictures to share with you too! 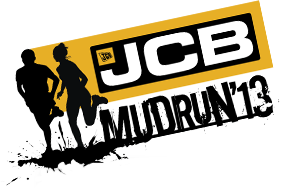 If you feel like joining us with your own team, you can register on the JCB Mud Run website. Yes Response are pleased to be supporting the Donna Louise Children’s Hospice Trust with their fundraising. This Staffordshire based charity provides a range of specialist care and support services for children with a shortened life expectancy and their families. Yes Response are working with one of our clients to source and fulfil rewards for their customers under their loyalty programme. 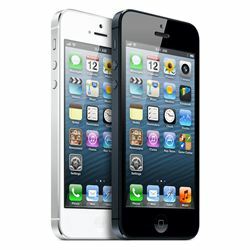 This is a full service including receipt and processing of the customer claims forms, sourcing, ordering and purchasing the rewards, which include iPads, iPhones and iPods and despatching these to the customers promptly. A monthly report and statement is then provided to the client. This method of reward sourcing and fulfilment takes away the headaches for our client who had previously been investing a lot of time in the administration of this process, which included a lot of paperwork which had to go through the finance and multiple other departments for approval. This also meant that the customers would have to wait much longer to receive their rewards. If you have any requirements for rewards sourcing and fulfilment, Yes Response can take away the headaches of the whole process for you – just contact us on 01889 561 400 or enq@yesresponse.co.uk to discuss your requirements. Yes Response is increasing the number of email campaigns that we are sending on behalf of customers. These campaigns are not, however, exclusively via email – we run email campaigns in conjunction with direct mail to support the messaging. Through a number of campaigns with our clients, we have seen excellent response using this strategy. Some campaigns go even further and combine the power of both email marketing and direct mail with outbound telemarketing. This approach, when handled correctly, enables the client to not only put their brand and message in front of the customer or prospect, but also provides an opportunity to seek feedback and engage with the company and the message to a higher degree with the telemarketing personnel.